Do I need to modify my engine to use biodiesel in my fleet? Answer: No modification is required. Preventative maintenance however, is recommended. We advise you to learn where the fuel filter is located and carry a spare filter with you. When you first introduce biodiesel, the accumulated scale and residues built up in the fuel system from mineral diesel, can start to become dislodged as the biodiesel cleans it. In some cases, the fuel may cloud and filter blockages may be caused. To minimise on this occurring, introduce the biodiesel 1000kms before your next scheduled service and then change your filter at your next service. Schedule your following service, 10000 kms after this service. Over time, biodiesel will keep your engine clean and it will operate more smoothly. How does biodiesel affect my warranty? Answer: No engine warranty covers you for the fuel you use, whether mineral based diesel or biodiesel. You can use a low blend biodiesel such as Ausfuels B20. Their blend is made to Australian diesel standards and has a renewable portion (it is made to the specifications of mineral diesel). If you are worried about your warranty, you are most probably also concerned about engine wear and tear, like what’s happening in the engine with injector burn outs and fuel pump wear from the reduced lubrication in mineral diesel with the reduction in sulphur content. Ironically, that is exactly what happens with mineral diesel- injectors burn out. You can add an additive to fix this problem - the best additive is biodiesel because it is a natural lubricant to minimise the burn out of injectors. Is biodiesel going to work in my common rail diesel engines? Answer: In blends up to 20% - yes. The fuel has been used and distributed in Western Australia for 7 years now and has extensive history without incident at these levels. 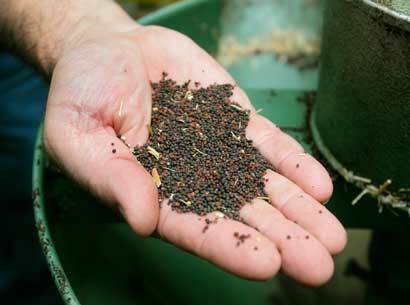 What are you using to make your biodiesel - canola/palm? Answer: We are using only Used Cooking Oil- which is a mix of oils. We do not use any palm in our processors and will never do so. Do I receive any rebates for using biodiesel? Answer: Biodiesel is currently fully rebated to the manufacturer which means it has no excise attached to it. Biodiesel blends up to 20% that are supplied by licensed suppliers are treated as wholly diesel and are able to fully rebate the excise on the fuel as if it was wholly mineral diesel. How does using biodiesel affect the carbon tax applied to diesel? 33.175 cents per litre, giving a further saving of 1.242 cents per litre. From 1 July 2014 the carbon charge is to be applied to the road transport group and further benefits will be available to these users for using biodiesel. I understand that there is an increase in emissions from biodiesel? Answer: Whilst there may be an increase in the Nitrogen Oxide (NOx) emissions from biodiesel, these only occur for 100% biodiesel and high blends of the fuel. Overall, emissions are reduced whichever way you calculate it. There is no increase for a B20 biodiesel. In the carbon tax regime introduced to Australia in 2012 biodiesel is given a zero rating meaning there is no assessed emission for the fuel. Be part of a developing industry which ensures wast cooking oils are reused as a valuable energy source. but a sustainable future for our local and rural communities.